The AAPC Certified Outpatient Coder (COC) certification program teaches fundamental medical coding skills for an outpatient hospital/facility or ASC setting and prepares you to take AAPC's COC exam. You will acquire advanced skills to review medical records and determine the appropriate CPT®, HCPCS Level II, and ICD-10-CM code sets. The registration fee for this program includes AAPC membership, COC practice exams, access to the Practicode tool, and the AAPC Certified Outpatient Coder (COC™) exam. Medical coding for outpatient facilities is an important skillset to help outpatient hospitals/facilities receive appropriate reimbursement and maintain compliance with coding guidelines and government/payer regulations. The material is presented in a step-by-step manner, and you will learn by completing readings and completing interactive lectures. The program also includes quizzes and exams, so you can test your skills at regular intervals throughout the material. Through these methods, you will learn essential introductory and advanced medical coding skills for outpatient hospitals/facilities. You will also receive access to the AAPC Advanced ICD-10-CM Online Code Set Training which will take your ICD-10-CM coding skills to a higher level. You will get hands-on training that includes coding for conditions such as, clinical concepts for comprehensive coding of conditions, insight on chronic and acute conditions, and practical coding exercises. Upon completion of this program you will be prepared for the AAPC Certified Outpatient Coder (COC) exam. The registration fee for the exam, AAPC membership, COC practice exams and access to the Practicode Tool are included with this program. Strong knowledge of anatomy and medical terminology. Lindsay-Anne McDonald Jenkins, CPC, COC, CPC-I, CMPA, CANPC, CIRCC, RN, CRNA (retired), has more than 30 years of experience in health care working as a Certified Registered Nurse Anesthetist (CRNA). Her CRNA work involved open heart, neurological, and thoracic anesthesia. After retirement from anesthesia, Ms. Jenkins worked as a coder and consultant for a physician billing company. While developing a passion for coding, she became a coding instructor and has taught many classes for CPC® certification. Ms. Jenkins has reviewed coding and text for AAPC, edited numerous books on physician coding, and has spoken to coding groups and physicians. Nitesh Kareer, COC, has more than 12 years of experience in Medical Transcription Industry working as a Medical Transcriptionist, Trainer, Quality Analyst, and Quality Manager. He was also involved in Vendor Management and Training for assurance of quality services to the client. He started working as a medical coder in 2012. Nitesh joined AAPC in 2014 and since been working as a coding coach involved in answering student’s queries and grading their course assignments. Upon successful completion of the program, you will be awarded a certificate of completion. In addition, you will receive an exam voucher for the Certified Outpatient Coder (COC™), offered by the American Academy of Professional Coders (AAPC) after successful completion of the program and financial obligation. Yes, you will be prepared to sit for the Certified Outpatient Coder (COC) offered by the American Academy of Professional Coders (AAPC). 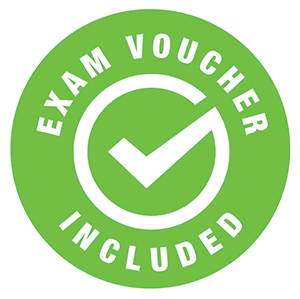 You will receive an exam voucher and AAPC membership after successful completion of the program and financial obligation.